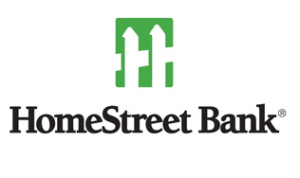 HomeStreet Bank’s latest checking account promotion makes it incredibly easy for just about anyone to earn $300. Here’s how you can get a piece of that cake – and eat it too. To qualify for their special promotion, simply select any one or more of their selected services. Once you sign up for direct deposit of your payroll, social security, pension, or other sources of income through your new checking account, you can get $100 in rewards. And the best part? The application for this special service is for free. Another way to earn extra cash is through the Visa Check card. You get to enjoy $80 in cash rewards with this. The third option is when you use the online bill payment from the bank’s 24-hour free banking service. This can get you an additional $75. If your think this is the end of the promo, there’s two more. Sign up for free electronic billing statements and you get a cash bonus of $20. Finally, you can submit your old debit card and checks from your previous banks and you will be rewarded $25 for doing so. This amazing offer is only open to new checking accounts. Families and relatives of employees form HomeStreet bank are not eligible for the offer. Different minimum deposits for each type of checking account are required. For the YourChoice checking account, this deposit is placed at a sum of $100, while the Premier checking account is fixed at $2,500. A $50 deposit is required for their BankOn checking. It is important to add up these special services within the first three months of account opening. After this given period, the offer will not be applicable anymore. All total earnings will be placed to your account during the next 15 days after the 3rd billing cycle. These combined cash bonuses are nothing short of exciting. Open a HomeStreet Bank checking account now to get your fill.